As new, Kreitler Kompact Rollers. 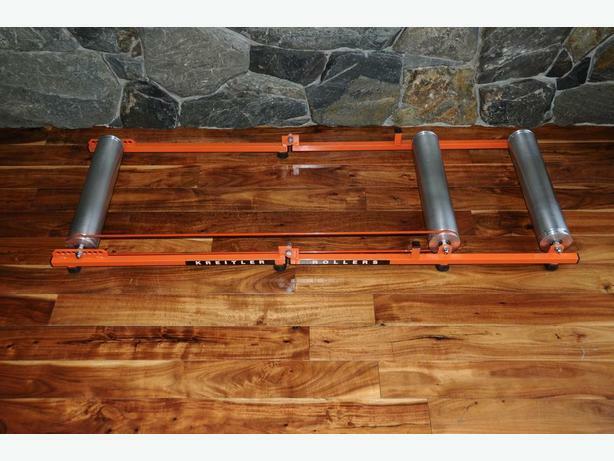 Kompact frame for portability with high end alloy rollers (3.0" drum diameter). Adjustable, fits 38" to 42" wheel bases. Rollers are 15" in width x 3" diameter. Current Canadian retail price (Amazon) $689.86. Will sell $349+shipping firm.